Southern In Law: Wedding Wednesday: Gluten free entertaining in seconds! Wedding Wednesday: Gluten free entertaining in seconds! At the moment, our wedding is only in the ideas stage as we really can't organise anything until all of the visa things are sorted and we can set a date. However, with my 101 food intolerances and coeliac disease we already know of a few issues that we have to find our way around. The main one of those is food. Since I eliminated gluten, I often found it easier to simply miss out on what everyone else was eating and just eat something different myself. Jesse, however, is 110% against me doing that. He hates when everyone else enjoys something and he knows I can't and decided well before I ever thought of it that we had to have at least one gluten free cake and some gluten free food at our wedding. So the quest began, how to plan a gluten free friendly wedding. I knew I didn't want everything gluten free as I want my friends and family to enjoy what they can eat. But I also wanted some gluten free foods that were delicious and everyone could enjoy. But as the only gluten free cook in my family, did I really want to spend hours and hours in the kitchen when I'd have a million other wedding related things to do? Most likely not - and knowing me with my funky adrenal glands, I'd be stressed out and fast asleep by 1pm (that is what we like to call an adrenal coma around here - and yes, it really happens). So I decided I was going to start my quest in advance and start searching for gluten free foods that everyone would love - and in the process solve my current problem with gluten free entertaining anytime. 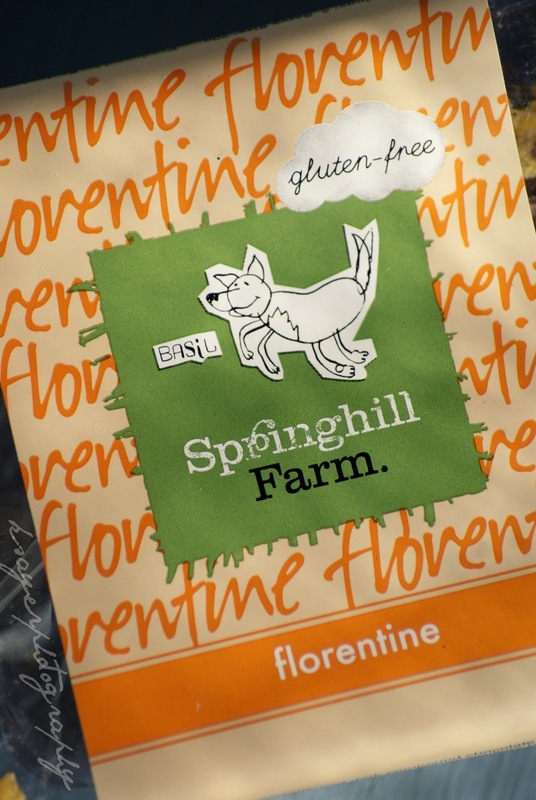 So first, lets start with the quick and easy options you can pick up at the shops and store in your pantry for when gluten free entertaining emergencies arise! Just think - a friend pops over for coffee with little notice (maybe even unannounced) and you have nothing to share over a cup of tea or coffee and zero time to reveal your inner domestic goddess and bake up a storm. Maybe you can eat gluten, but your friend can't and you've only got gluten filled goodies in your pantries. 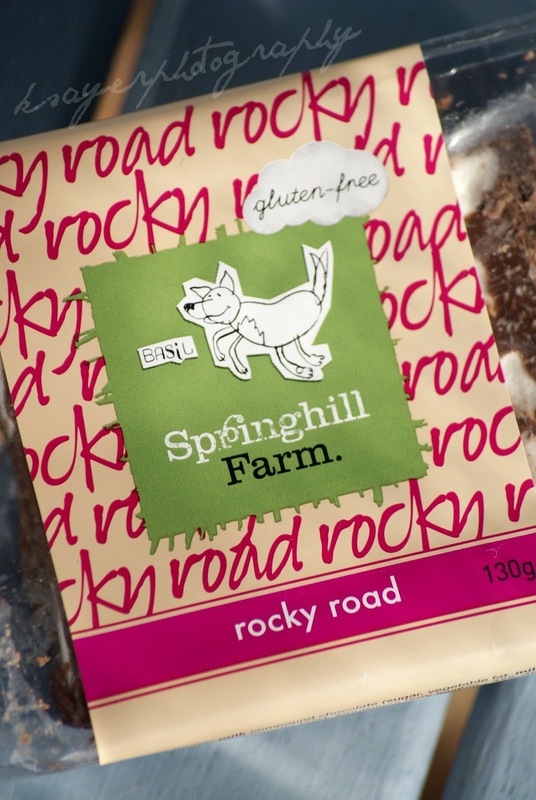 The new Springhill Farm gluten free bakery range is perfect for these occasions as well as for parties or events where you or one of your guests may have issues with gluten. 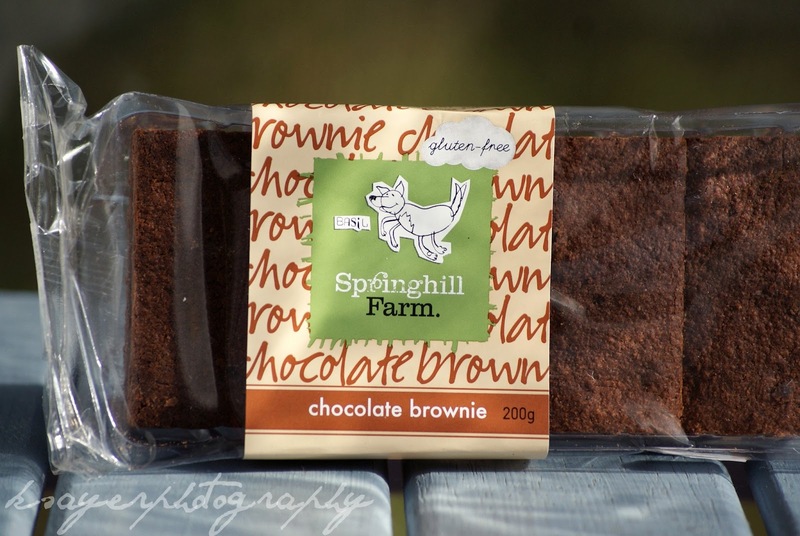 They're available in Chocolate Brownie, Rocky Road and Florentine Slice - each of which have five slices in a packet and are available in the bakery section of Coles stores across NSW and Victoria and Springhill Farm are hoping that by the end of the year, they will be available nationwide. 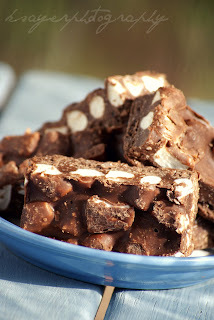 Rocky Road is a treat loved by many, gluten free or not. This version from Springhill Farm contains fluffy marshmallows, juicy dried cherries and coconut - all covered in chocolate. One slice is all you need of this sweet treat (though I won't say a thing if you have more!) and it's a sure favourite for chocoholics and is especially popular with kids! 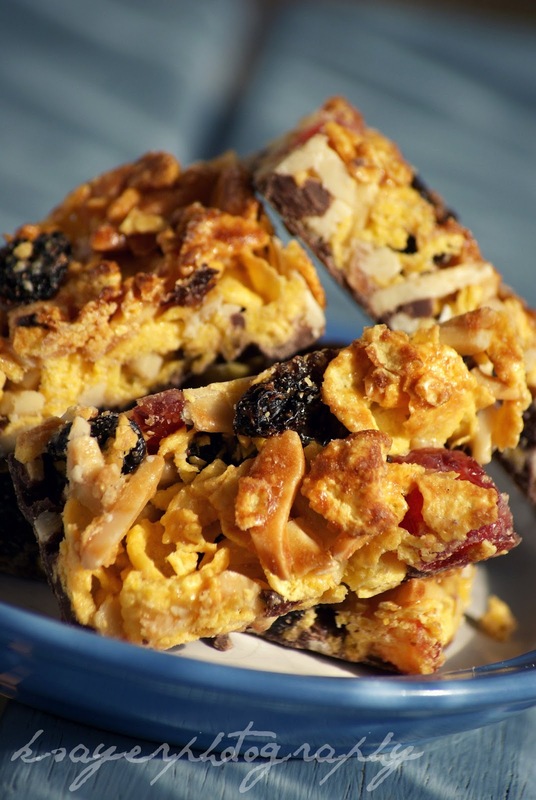 The florentine slice is a bit like a cornflake honey joy all grown up. It's a mix of cornflakes, sultanas, cherries and almonds with a chocolate covered base. It's perfect with a cup of coffee or tea and the only thing I'd change is to nix the cherries! and that's only because I can't eat them! For a gluten free friendly party or to show your gluten free guests some love, just pop the slices onto a plate or platter and you're good to go! No fuss, no mess, no stress! I would definitely recommend the brownies! 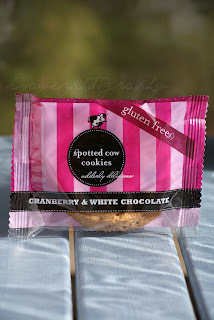 Another delicious solution to this problem that I found are these cookies from Spotted Cow Cookies. They're soft and delicious and have all the flavour of an incredible homemade cookie, but are extremely convenient! While Spotted Cow also make regular cookies, they have a delicious gluten free range as well with three gluten free flavours - Cranberry and White Chocolate, Triple Chocolate Fudge and Apple and Sultana. 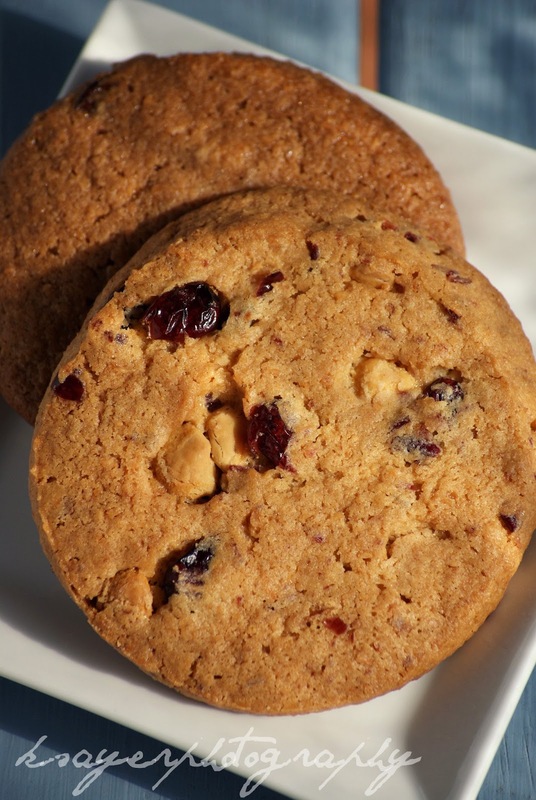 All flavours are delicious and are the perfect soft and chewy cookie - and you'd never know they were gluten free! I love that they're generous with their mix ins and the triple choc fudge was a clear winner for all. 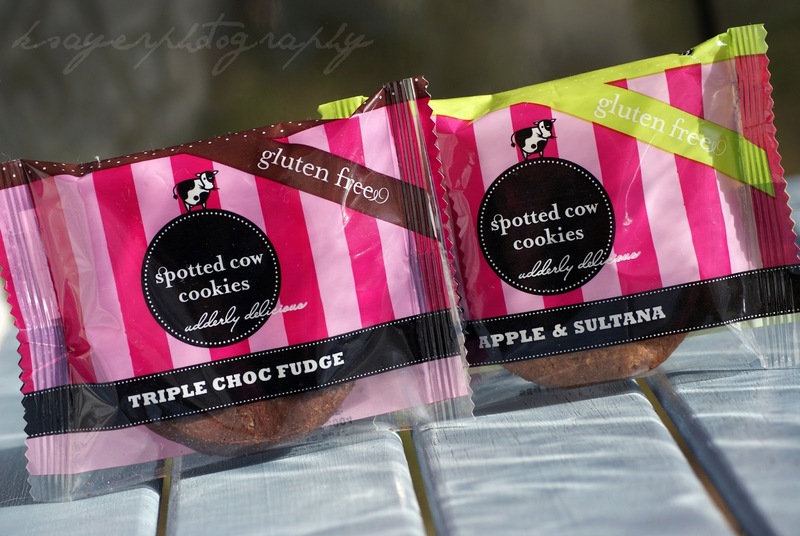 Both the gluten free and regular cookies are available online and through a number of distributors across the country. To find out where you could find these cookies near you, just send off a quick email or give them a call! I've spotted them at different cafes here and there, so keep an eye out - they're worth looking for! So tell me, lovely readers - what are your gluten free friendly entertaining solutions? and if you're married/planning a wedding - did you/have you thought about catering it yourself? Sometimes I think I'm completely bonkers even contemplating catering a lot of it myself, but we're only having a small wedding and I know alot could be done in advance. I also have some amazing family and friends who I know wouldn't hesitate to lend me a hand - but we shall see! It's great to have all of these brands on hand that make great gf goodies. I once had the great idea (sarcasm ;) ) of making my own wedding cake until I realised that I would be so much more stressed! Wow, all of those look really good! Catering a gluten-free friendly wedding sounds tough, but it's definitely also an opportunity to get those creative juices flowing! I think you'll have fun planning the menu out - I can't wait to see the things you come up with! 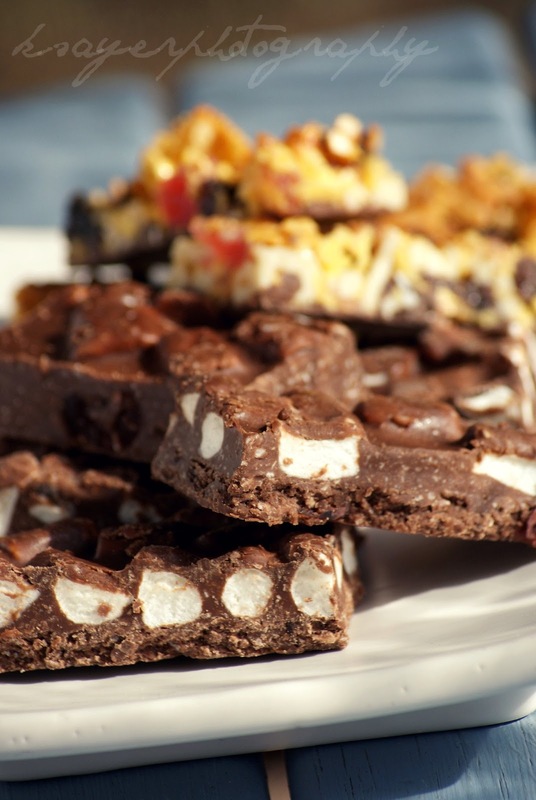 nice sweet choco keep updating post... we are best catering services in chennai , caterers in chennai and marriage wedding caterers services in chennai .